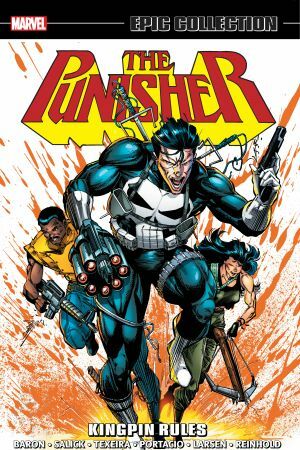 Collects Punisher (1987) #11-25 and Punisher Annual #1-2. Delivering justice from New York to Japan! 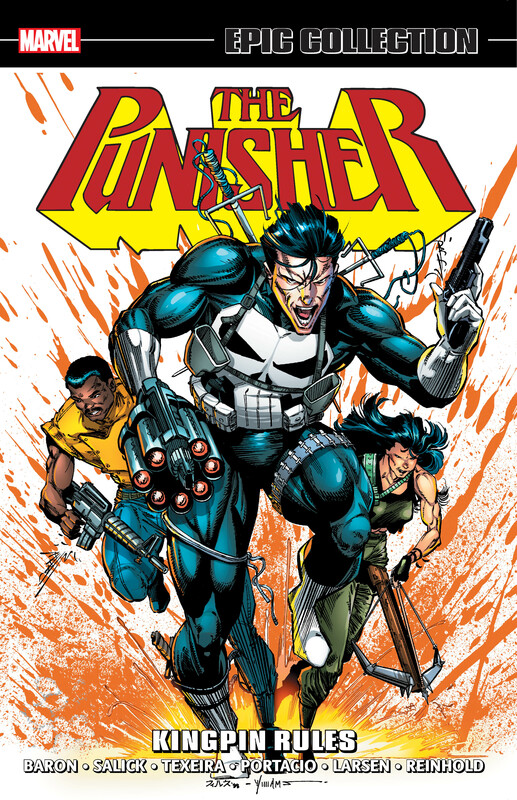 Gary Saunders is on death row — but the law doesn’t move fast enough for the Punisher! The kids at Malcolm Shabazz High School had better behave for their new substitute teacher: Mr. Castle! But how does that lead to Frank trying to topple the Kingpin? He’s determined to take down Wilson Fisk once and for all — and it’s all building to a brutal face-off! Then, Frank heads to Las Vegas in search of an assassin! A knockout round in the boxing ring leads to an encounter with the ninja Shadowmasters, and he’ll team up with Moon Knight when Atlantis Attacks — but what is the Punisher’s part in the Evolutionary War? 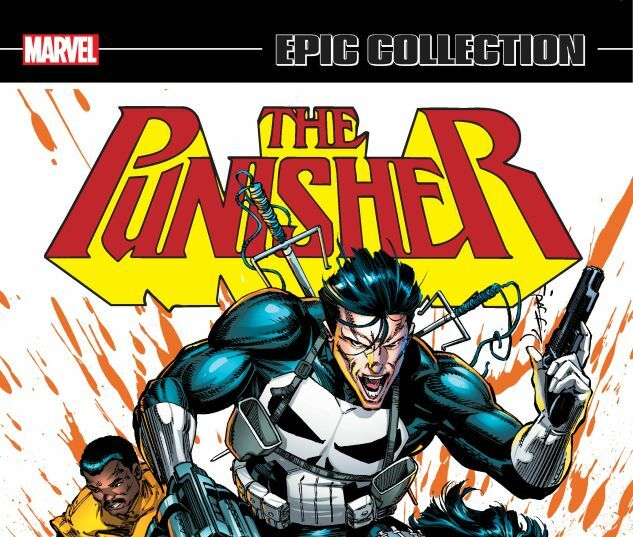 Plus: Frank takes on a war journal’s worth of drug dealers, mobsters and criminals!